But what if your case cannot settle and you must prepare for trial? 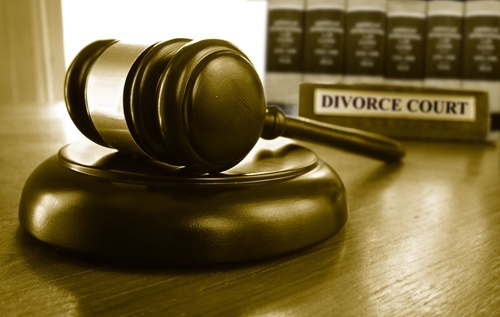 Most New Jersey divorce cases have a very good chance of settling at some point before trial. We will try virtually every tool in the book to try to come up with a mechanism for working out a divorce settlement, without needing to have a judge consider all of the evidence during a trial and make decisions that you and your spouse would probably be much better off making yourselves. We will exchange financial information. We will exchange settlement proposals. We will have 4 way conferences. We'll attend Court sponsored programs like the Early Settlement Panel Program. We will go to custody mediation. Then we will attend economic mediation. If your case gets old enough, the Court may schedule us for its annual Intensive Settlement Panel Program. With the help of all of these tools, almost all cases will settle. But if none of that works in your particular case, then the system will provide a neutral stranger whose role is to decide the issues in your case for you. That stranger will either be a Superior Court Judge or it will be an arbitrator that we select jointly with your spouse and your spouse's attorney. If you choose to attend arbitration then of course there will be no trial as the arbitration will take the place of the trial. Otherwise you will go to trial. Your trial date will occur roughly a year after the divorce complaint was filed. This is usually because the Courts are so backed up. It usually has less to do with the fact that there is so much work that has to be done by the lawyers in your particular case before a trial can take place (although sometimes there is a tremendous amount of pre-trial work that causes the case to drag on). In the example that I will use in this article, let us assume that you file for divorce on October 1, 2017. The simple truth is that we are not likely to get a realistic, actual trial date until all of the cases that were filed before yours have been resolved (or at least are in arbitration or trial). In this example, that means that all divorce cases in the county that were filed before you filed yours on October 1, 2017 will have to have either settled, arbitration must have begun, or a trial by a judge must have begun before you will get a real trial date. Let's further assume that your trial is scheduled for exactly one year after your divorce complaint has been filed, namely October 1, 2018. On October 1, 2018, I go to court. You, my client, come to court with me. Your spouse comes to court. Your spouse's lawyer comes to court. Any witnesses come to Court. We all go into the judge's courtroom. We are told to be there at 8:30 a.m. We get there at 8:30 a.m. The Judge comes out sometime thereafter, for purposes of this article let's say that it happens at 9:15 am, and says something like, "Mr. and Mrs. Smith, Counsel, it's 9:15 a.m. I've got 3 brief other matters that I'm going to take care of before I begin the Smith trial. Come back at 10:15, an hour from now. I'm going to give you one more hour to try to settle this case. If you can settle it, great, I'll divorce them then. If not, Mr. Kaplan, you are the attorney for Mr. Smith, the Plaintiff in this case. Be prepared to call your first witness at 10:15 am if the case is not settled by then." We will then go out into the hallway, grab a conference room, and we sit around the table and negotiate some more. Very often, even though we have been trying to settle the case for the past year with no success, it's that last-minute pressure that gets everybody to finally act in a reasonable enough manner to be able to make the necessary compromises to allow us to finally forge a settlement. We take out a pen; we take out the most recent draft of the proposed Matrimonial Settlement Agreement that's been floating around, and we begin to change things. If negotiations are going well, we may be able to change some numbers, we may change some words, and everybody looks at it, and the wife looks at it and say something along the lines of, "you know what, it's not really what I wanted." Husband says "it's really not what I wanted either." They both say something like, "... you know what, it's close enough. Let's just do it." We get them divorced an hour later. That’s what happens when you hear people say that the case settled "...on the courthouse steps." The judge is ready for this case, and this is the last shot we have to settle, and whether we were literally outside of the courthouse talking on the steps or in a hallway or conference room, the last minute urgency gave us the push to finally settle the case right before the trial was to begin. There are still some cases, though, that, even with that last-minute effort "on the courthouse steps," do not settle. To follow the story through a little further, at 10:15 am, we come back and say something along the lines of, "Judge, although both sides continued to participate in settlement negotiations in good faith, we unfortunately have not been able to reach a settlement." The Judge says, "Okay, Mr. Kaplan, call your first witness." I would normally (although not always) call my client as my first witness. "Mr. Smith, are you married? He hopefully says something like, "I am married to my wife, Barbara Smith, who is sitting over there next to her lawyer." I say, "and when were you married?" My client gives the date. "And when did you separate?" "Did you file your divorce complaint on October 1, 2017?" "At the present time, do you have any unemancipated children?" "No, we do not have any unemancipated children. Our children are all over 30 years old." Therefore, in the case of this example, child support, custody, visitation, parenting time, college costs – – all of those things – – are not going to be issues in this case. "So then, Mr. Smith, the issues in this case are purely monetary?" "So, we're talking about alimony?" "And we're talking about distribution of property?" And I then decide whether I am going to ask my client questions related to his ability to pay alimony first or whether I'm going to go into the property distribution argument first. At this point, I will often take my client's Case Information Statement (i.e., CIS), which is really his budget and statement of assets and liabilities, and I would walk up to the table next to the Judge, where the Judge's assistant is. I'd say, "I'd like this to be marked Plaintiff's Exhibit 1." I then show it to my client and say, "Mr. Smith, can you identify this?" And my client would say, "Yes, that's my Case Information Statement." I continue, "...and what's the date that you signed this Case Information Statement?" Mr. Smith would look at the last page and say, "...August 15, 2018" (again, we're fast forwarding this to next year).. I would ask, "... did you read this document before you signed it, Mr. Smith?" My client would say, "Yes." "And do you understand that you've signed this document under oath, Mr. Smith?" And my client would say, "Yes." I would say "do you understand that this means that you're swearing, at least to the best of your knowledge, that everything in this document is true?" Mr. Smith would say, "Yes." "And, Mr. Smith, please take a look on page 3 and tell me how much money you earned last year?" "Mr. Smith, to the best of your knowledge, information and belief, is that $216,521.00 number that you just recited accurate?" "How is that number, Mr. Smith – – how do you compare that number to, let's say, the last 3 years?" "Well, sometimes it would be a little higher, sometimes it'd be a little lower, but that's a pretty average number for the last 3 years." "What about the last 5 years?" "Give or take a little bit, it's probably consistent for the last 5 years also. Yes, it's been a little higher but it's also been a little lower. That's my income." Once I am done going through all the financials and other relevant evidence with my client, then Mrs. Smith's lawyer would have the opportunity to cross-examine my client. The other attorney, anticipating my questions, would often prepare their cross-examination questions of my client well in advance. They might start with my client's Case Information Statement, and try to tear the thing apart with questions like, "Mr. Smith, isn't it true that you receive some income by way of cash?" Mr. Smith: "Well, yes, but not much really..."
"And Mr. Smith, isn't it also true that you pay some of your employees "off the books", meaning that you do not take taxes out of their income?" Mr. Smith: "No, I do not do that..."
"Now, Mr. Smith, you have a Subchapter S business, a corporation, correct?" "And that means that you really, to a certain extent, control the amount of income that you take out. Meaning you can leave money in the business if you choose to, correct?" "Well, I guess I could, but..."
And Mrs. Smith's attorney would likely have a list of questions that she would be going through with Mr. Smith trying to show that this isn't right, that isn't right, this isn't right, that isn't right, etc. They taught me in law school that when an attorney is cross-examining a witness like Mr. Smith, the attorney should not usually expect bells and whistles and fireworks going off. That's only in the movies. That's not really the way that cross examination of a live witness in a real divorce courtroom usually works. Rather, in law school, they taught me that on cross examination, if I can make a few good points, if I can puncture the other side's argument in a couple of key places to get that Judge thinking, "....hmmm, that's a good point, I hadn't thought about it that way..." that this is often realistically about all you can really hope to expect to achieve at cross examination. -cross, until the lawyers have exhausted their questions of the witness. Each witness would have an opportunity to discuss whatever relevant evidence the lawyer wishes to put before the witness, and the Judge is taking notes the whole time. Expert witnesses get involved in divorce trials frequently. We have forensic accountants when there are complicated financial issues, and we have forensic psychologists, psychiatrists, and social workers when there are significant issues involving custody or parenting time issues or other issues involving minor children. We have employability experts who are professionals who qualify as experts and are able to provide a Judge with information about an individual's capability to work in a various field, what types of jobs are available, and what a reasonable income one might expect that person to be able to earn under the particular circumstances of this case. We have real estate experts who can come in to testify as to the value of a particular piece of real estate. Testimony can be very time-consuming. Trial of a divorce case is a slow, tedious process. And trial dates in the NJ Family Courts are usually not back-to-back. This means that if this trial begins on October 1, 2018, and if 9 days of trial time is necessary because it is a fairly complex case, the case is not over 9 business days later. The case might be over 9 months later, possibly even later. This is because the Courts do not give back-to-back trial days. Rather, they assign dates here and there. We can argue back and forth about whether this is good or bad, or why they do this, or what else they should do to manage their court calendars more efficiently and effectively, but I'm simply telling you the way it is in divorce court here in New Jersey. I have been trying divorce trials for over 30 years, and although the system has tried during those 3 decades to make divorce trials occur on continuous days, I have only had one continuous divorce trial in 30 years. The rest of my divorce trials have been dragged out over periods of time, some longer and some shorter. Usually with a divorce trial the judge will require written summations. At the conclusion of testimony, the Court will direct the lawyers to either sum up their cases right there or to take a period of time to prepare written summations. It will then take the Judge time to review all of the testimony, the evidence, and the written trial summations before the Judge finalizes her findings of fact and conclusions of law. At that point a written decision will be filed by the Judge with copies sent to the lawyers. All issues will have been decided. Both sides are bound by the decision. Each side has 45 days to file a "Notice of Appeal" if they intend to appeal the judge's decision. Appeals are rarely won because the Appellate Courts give the trial courts a wide range of discretion to make the judgment calls that are necessary to decide the issues in dispute. It is only if the trial court has violated its discretion, misapplied the law, or committed some other inappropriate act that the Appellate Courts may choose to intervene and change the result.